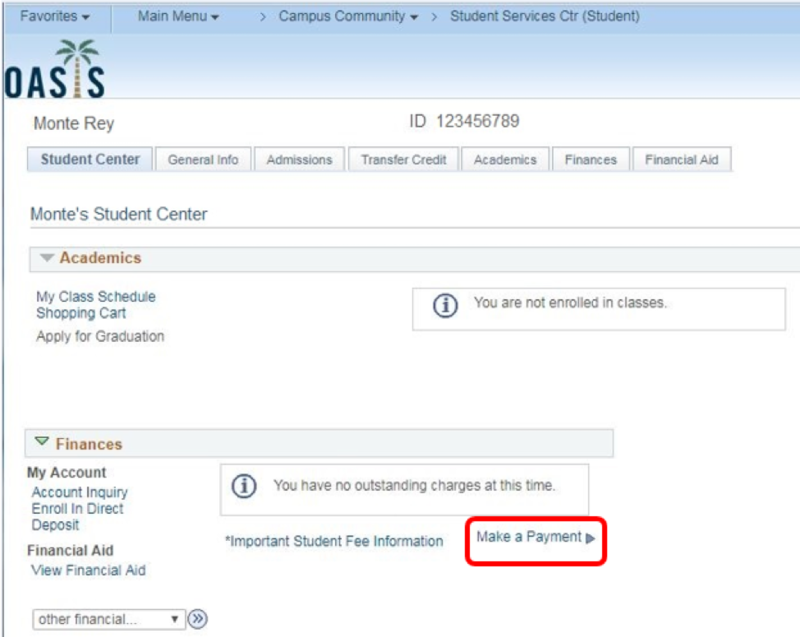 Go to your Student Services Center page by selecting OASIS on your student Dashboard. 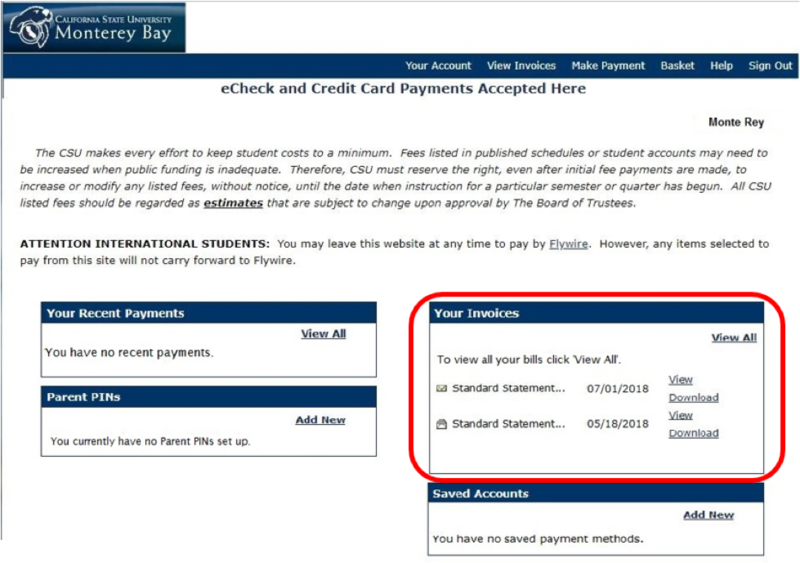 Select "Make a Payment" under the Finances section. Select "Your account" on the top of the page. You will see a list of your invoices below.